You are in the midst of an ascension process, which make you extra sensitive. So remember to center yourself, earth yourself, love yourself and take the steps you need to take to feel good in your every day life. For some of you there may be major changes such as leaving the relationship you live in, moving or similar. There can be big changes, it can be small. Many would feel good at going down in working hours. You know in your heart what’s right for you. Often it’s just about getting more peace in your life, breathing deeper, relaxing, spending more time in nature, opening up for joy. Accept yourself as you are at this moment. When you accept yourself, you get in touch with your innermost source, your source of power, this power helps you forward. Center yourself. Enter your inner heart, relax there, find this place of love and peace and lift your vibrations. When you live life from the heart there is only one presence. Then you can have the most boring work and yet feel joy, because your joy is within you and you carry it with you wherever you go. Sure, it’s a lot better to have a work you enjoy, but once you’ve found this inner source of joy, the external circumstances do not play a big part in your mood. You have surely heard people who have travelled in poor countries tell about how miserably everything was in a material perspective, but that the people who lived there seemed so joyful despite of this. This has nothing to do with that poverty making you happy or similar. But it has to do with the fact that in some parts of the so-called Third World, there are still plenty of areas where families live together in generations, where you know all in the neighborhood and all are part of the community. Such basic security, such obvious belonging, that gives joy. Most of you who read this live in a completely different world. A world where the individual have to succeed in a society where all competes with each other to a great extent. It does not have to be so, you can create new communities, new relationships, you can form new family ties. For some of you, it might be good to ask yourself: what makes me happy? What steps can I take to increase the joy of my life? Each and everyone on Earth has the Light within and this can be awakened. I speak mainly to the Light Bearers, those who have kept the Light alive through generation after generation, through the darkest of times, when the light has been seemingly forgotten and hidden, you have borne it. But I also speak to all those who have not yet woken up, to those who are in the wake up process, because the Light is now spreading at a speed we could not hope for. In the other dimensions, we are in a state of great joy when we see what is happening on Gaia now. And then I do not speak about what’s happening in your news broadcasts, but what happens to humanity on an energy level. You are now taking great steps in your awakening process. It may seem contradictory that this is a time of light and awakening when so much darkness occurs around you, at least on your news broadcasts. I am talking about what happens at an energy level; we literally see the Light flowing over the Earth and this is magnificent! Why does then so much misery also happen? Well, it’s all the culminated pain and sorrow that comes up, everything has to be cleared out. Keep calm and be centered in love, relax, have confidence. Some of you are still wondering what I mean, I feel your questions, you just think there are disasters and wars over the earth; How can this time be a time of Light? Look at the history of humanity, it has been full of wars and starvation and injustice in every way. Just remember the high amount of child mortality not a long time ago, just imagine the sorrow this caused each family. In comparison, you live in a peaceful world today. Now you know what happens on the other side of the planet within a minute. Just two hundred years ago, most did not know much more about the world than what happened in their town, their neighborhood, the region of the country in which they lived. Two hundred years ago, most people could not even read or write, just such a thing. The spread of information has accelerated and what you can say about the news broadcasts is that, unfortunately, it mostly focus on the negative news of the world. This can be argued as important, but why is not as important to report more about some of all the positive things happening in the world? Information affects you, so choose carefully the information you want in your life. The great shift that has taken place is that you now understand in depth what we mean when we say that you are the creators of your life. That your words, thoughts, feelings and actions are actually of great importance. That you can influence all life by seeing the highest in what surrounds you. That you have the ability to create the paradise you long for. Humanity has never understood this in your current era. Individuals have understood it, small spiritual societies have understood it, but as a collective you have been unaware of this truth. This truth now spreads as an inner insight through the soul of humanity. Take a deep breath, fill your body with air and just be in this moment, be in the moment of breathing. Allow the air to flow in and out of your physical being. In through your nostrils and all the way into your toes, through the body, in and out, in a circular motion. Imagine that this air is pure light energy and for every breath you fill your body with light. It fills up, it lights up, it is filled with light power and energy. Imagine that you now deliberately heal yourself with this light, this divine light, realize that it is possible to heal your body in this way. Breathe in pure love, breathe in pure joy. Breathe deeply, in and out. Relax. Let this love light fill each cell in your body, let it heal each cell in your body. You can connect to the light at any time and let it fill you. Do this kind of exercises daily, let love be a source of power in your life. Jesus of Nazareth is one of many who lived on Earth who had direct contact with the Source, the origin, the eternal power, the infinite knowledge, that which often is called God. He had a direct contact and he spoke from the heart, he was pure love. But he was also human, he was not perfect. Yes, you all know Jesus’ life, at least parts of it. What I wish to talk briefly about is what happened when the texts were put together into a book, to the writings that so many follow. Jesus himself did not write any texts; he did not even encourage it. It was when the memory of the disciples began to fade and they wanted to pass on their knowledge that the texts were written. The first Christians were a persecuted group who lived in flight. They had a very hard life but endured since they were convinced in their hearts of the Love Message that Jesus taught them. Those who ruled in Rome noticed that despite the persecution of Christians, they grew in numbers. There was a force in this doctrine, a power that they decided to use. So they gathered in counsel and talked about these texts. Yes, one could understand that people followed these texts, they had something special, there was a power within them. But it was a force that said everyone had equal value, it was a force that threatened their power. So they decided to change some of the texts, not entirely, but to change a word here and there can give a striking effect. Some parts were completely removed, they were simply too revolutionary. Jesus showed a way of living, a way of being. He lived the love message. He did not encourage anyone to build churches or start a religion in his name. He encouraged each and every one to find their own direct contact with the Source, with All that is, with God. He showed the way through his words, deeds, through his way of life. Many Christians believe that meditation is something that only the Eastern religions devote themselves to, that it is not meant for them, even though Jesus himself meditated every day and had done so since he was a small child. And so did also the first Christians, his first followers. All his life, all his sermons were about equality, to love your neighbor as yourself, to share what you have. To sit at the same table, share the wine, share the bread, enjoy each others company, experience life together. He walked on foot because he wanted to be close to Mother Earth, he wanted to be close to life. He lived in the present. He met people along the way, met the animals, the plants, the trees, the flowers, the sky, the water, he met the Creation. When he spoke, he spoke on an open meadow, or from a mountain, around a table or in someone’s garden. He spoke where it was natural in that moment. And he always spoke in direct connection with the heart. He urged his audience to throw away all titles and see each other as equals, like brother and sister. He saw women as his equals, like his sisters, and he had a woman whom he loved as his closest, as his twin soul. She was always by his side, her name was Mary Magdalene. Her place was important among the first Christians, she had a whole group who followed her after Jesus was forced to leave them. This is a long time ago my dear ones and for many of you, this information is not so important, while for others it is very important. We see it as important to remove these veils so people no longer get misled. Before I move on, I would like to take an example of how words can become misunderstood depending on how they are put together. This example is from the New Testament: ”For it is easier for a camel to enter in through a needle’s eye, than for a rich man to enter into the kingdom of God”. The interpretations of this quote have gone apart and actually the original words have a quite different background than you think. The Needle Eye was a passage in the desert that was extra difficult for those who transported goods and people through the desert. It was difficult, but not impossible. The quote is from a sermon and the situation it is said in is a retold event. Mia; Dear Sanat Kumara, You say so many things that are so overwhelming to me. I have to take a break in our communication and contact Sananda and hear what he says about this. 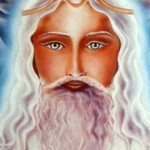 Sanat Kumara: Dear Mia, I am so happy that you will contact Sananda. I love You All and say thank you for this time.